yelworC has been a source of inspiration for many bands and is almost historical on the electro-industrial music scene. 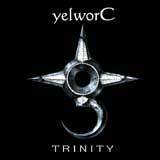 With the new album Icolation, yelworC continues the themes explored in his last album, Trinity. Drawing influence from Dante's Inferno, Icolation takes the listener on a journey of the damned, from darkest hell straight to an apocalyptic purgatory. The music is as hard, twisted and complex as before - a synthesis of strong, vital rhythms and darkest melodic compositions. Darker than dark, harder than hard - but always featuring that surprising and patented twisted Yelworc sound. The master of evil electronics has returned, and has brought the very sounds of Hell with him.